The other day at work, my colleagues were discussing which animals we would choose as our spirit animal or patronus. Well, what a stupid question, because the best and most amazing animal in the world is clearly the manatee! These body-positive mermaids are so gentle, and calm, which is everything I would want to be myself. I also wouldn’t mind swimming around and eating all day. 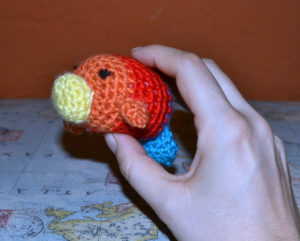 I directly declared the hue-manatee to be my patronus, and went home resolved to make myself a little hue-manatee to keep watch over me when I’m at work. Fortunately, I still had some yarn in rainbow colours at home. In fact, I’ve decided to always keep some yarn in rainbow colours around, because you never know when you’ll have a rainbow crochet emergency. So I went on a hunt to find the perfect crochet pattern that would go with my rainbow DK yarn, and found this great pattern on Ravelry. I won’t replicate it all here, because a) it’s not my pattern and b) you can simply download it for free through the link. 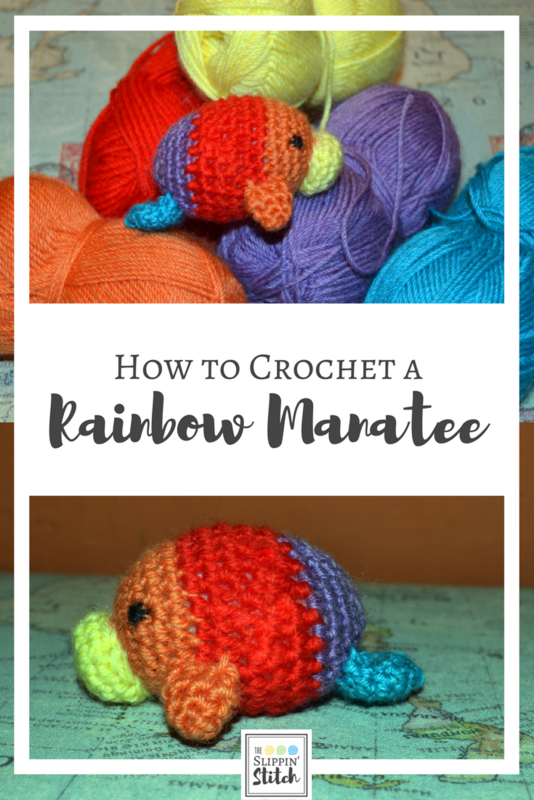 So here are just the details you will need to turn your standard grey manatee into the rainbow hue-manatee of awesome. DK in 4 rainbow colours. I used yellow, orange, red, purple, and blue.